Traversing Florida's Nature Coast Region through the Suwannee River Valley, the 31.7-mile long Nature Coast State Trail, managed by the Florida Park Service, consists of two primary alignments. 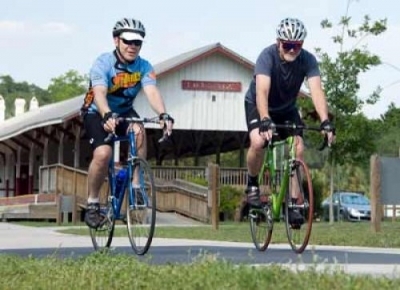 Built along abandoned rail lines that intersect at Wilcox Junction, the trail connects the communities of Cross City, Trenton, Fanning Springs and Chiefland. Among the trail's highlights is an historic railroad trestle crossing the Suwannee River. Location: The rail trail is located in the Nature Coast Region of Florida. West of Gainesville, the trail connects the communities. Rail trail connecting Cross City east to Trenton and Chiefland. From Fanning Springs, head south on US 19. Trailhead is located on the left at the Chiefland railroad depot, 2 blocks south of downtown Chiefland, on SE 2nd Ave.
129). Proceed about 2 blocks to the Trenton railroad depot. Trailhead will be on the left. From Chiefland, head north on US 19. In Fanning Springs, the trailhead is on the right, near the Agricultural Inspection Station. From Fanning Springs, head north on US 19. Turn right on County Road 349 in Old Town. The trail crosses the road 1 block after the first intersection. Take a right on the first road. The trailhead will be on the left, adjacent to the Old Town Fire Station. 210th Ave. Turn left on NE 106th Street. The road crosses the trail. The trailhead is located on the left at the Cross City railroad depot. Head west on State Road 26. In Trenton, head north (right) on Main Street (US 129). Proceed about 2 blocks to the Trenton railroad depot. The property was acquired from CSX Transportation, Inc. in 1996 by the Office of Greenways and Trails Acquisition Program, a component of Florida Forever. The Florida Board of Trustees of the Internal Improvement Trust Fund (Trustees) holds fee simple title to the property. The property is leased to the park service through April 29, 2048. Development for the paving of the trail was funded by the Florida Department of Transportation. Occupying a former CSX railroad right-of-way, most of the trail parallels US 19 and State Road 26 and is embedded in an agricultural landscape. 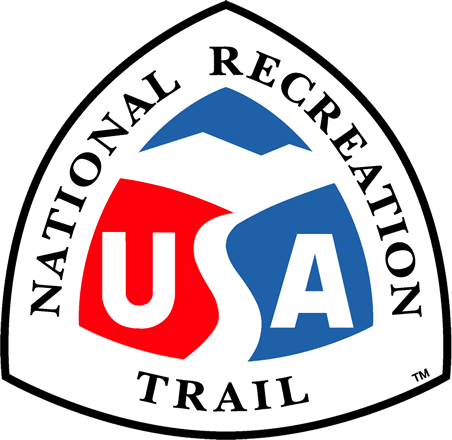 Trailheads are located within the five linked rural communities, making the trail easily accessible for local use, in addition to being close to accommodations, restaurants and other recreational opportunities. The Nature Coast State Trail provides a scenic experience for runners, walkers, bikers and skaters. 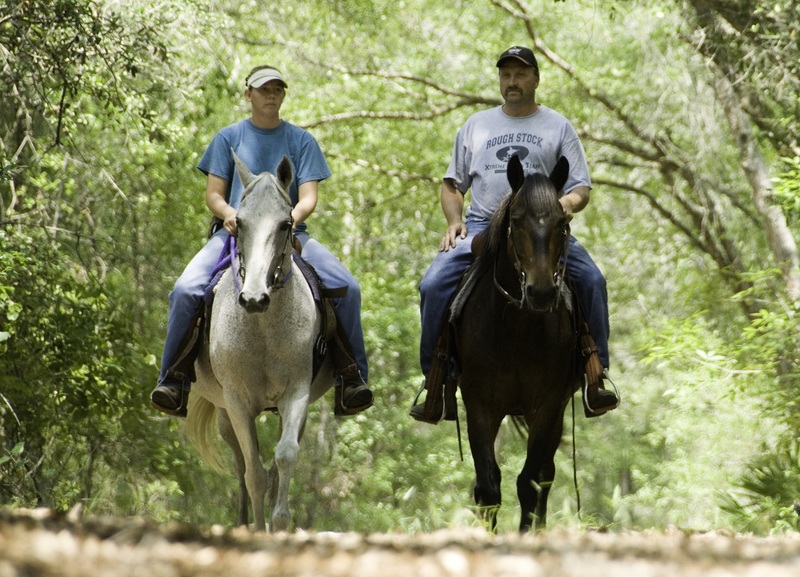 Equestrian riders can enjoy trails that parallel some portions of the paved trail. Currently, parking for equestrians can be found at the Fanning Springs and Old Town trailheads. Several significant land and water resources exist in the vicinity of the Nature Coast State Trail. They include: Suwannee River, Fanning Springs, Big Bend Seagrasses Aquatic Preserve, Manatee Springs State Park, "City of Hawkinsville" Underwater Archaeological Preserve, Andrews Wildlife Management Area, Cedar Key Scrub State Reserve, Waccasassa Bay State Preserve, Cedar Keys National Wildlife Refuge, Lower Suwannee National Wildlife Refuge, Jena Wildlife Management Area, Gulf Hammock Wildlife Management Area, and Goethe State Forest. Other public lands are found to the west and south of the Nature Coast State Trail including the Fanning Springs State Recreation Area, Manatee Springs State Park and Andrews Wildlife Management Area. Between Trenton and Cross City, to the north of Fanning Springs, the trail crosses the Suwannee River Wilderness Trail.